Blog To App or Not to App – Should Your Business Have an App? We can now fairly confidently agree that mobile is where the future of internet purchasing, and browsing is headed. We can’t ignore it anymore; if your business is not mobile-friendly, you are going to be in trouble. Mobile gives a wealth of opportunity for business growth. With users spending around 80%-90% of their mobile time on apps, having an app for your business sounds like a great idea. 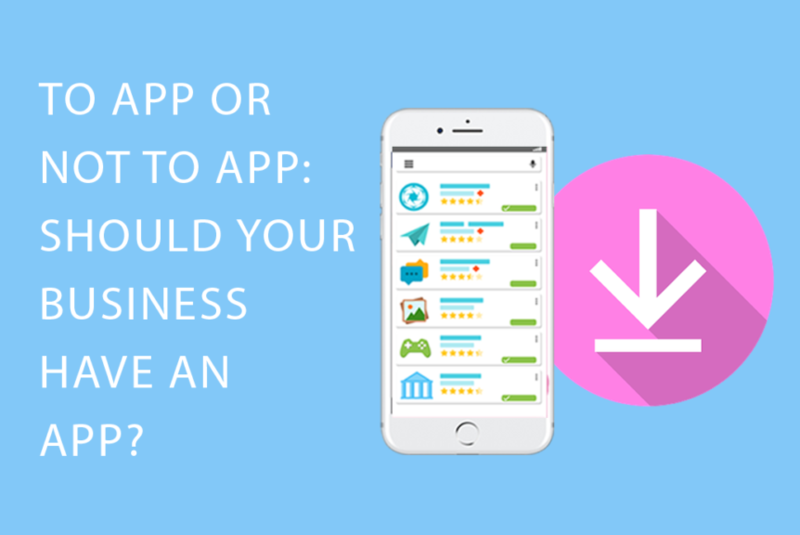 But how do you know if an app is suited to your business? As 80% of all app users churn within three months, your app needs to have a reason for users to continue coming back to it. Consider the people who actually buy from your business. Are they the type of people who would use an app? What about your app would help users and provide greater convenience for them? A great example is loyalty cards. 33% of millennials dislike physical loyalty cards because they are inconvenient and can easily be forgotten at home. In-app loyalty cards provide users an easy solution, as they can easily claim their coffee stamps with their phone. 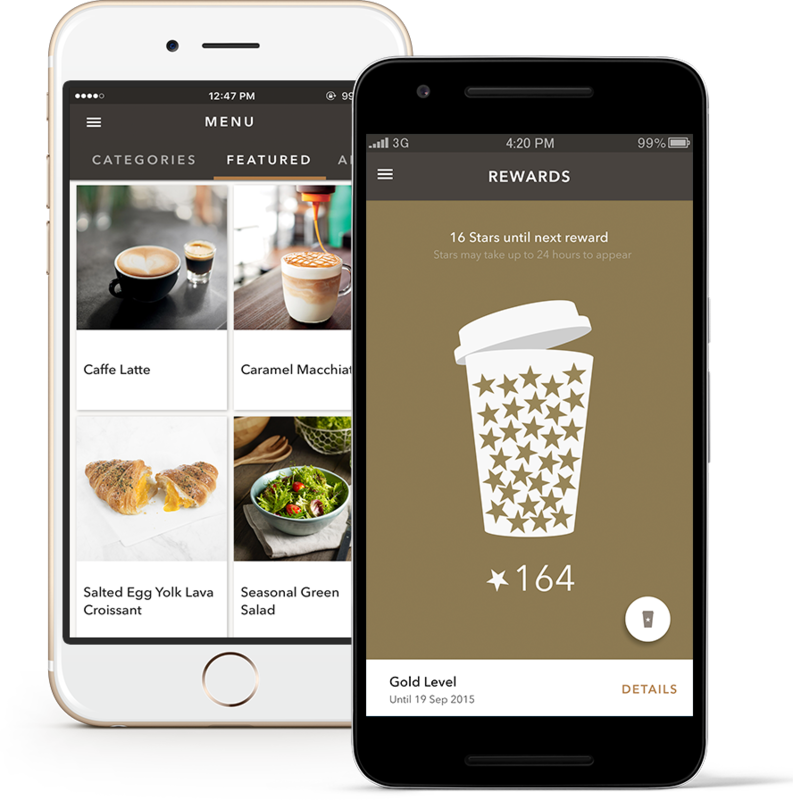 For example, Starbucks users their app to offer rewards exclusively to app users and allows users to pay directly from their app. If you offer products or content that is frequently updated, an app can be used to alert customers and provide them with important information. Using push notifications, you can notify them when specials, sales or new products are available. This can be highly beneficial as part of your marketing strategy to engage more consumers and target you customer base. However, when using an app to offer users rewards you should do this strategically. As 63% of people say that “when a brand forces them to download an app to access a deal, they will typically delete it shortly thereafter”. So carefully consider the long-term value of your app. When considering whether your business would benefit from an app, you should think about what exactly the app offers your users. Remember, it’s about the users – not your company. Phone space is limited. People don’t want to install yet another app if it only offers them the same functionality as your website. Does your app create a unique experience, or does it simply replicate the functionality of your website? This does depend greatly on what area your business is in. For example, an app may be useful if you want to include exclusive offers, loyalty programs, updated timetables, booking functionality and on-device features that help users. However, you should consider whether the functions your app will offer are already available through other channels. The cost of developing an app varies greatly depending on what functions you desire. But to put it simply – they are pretty expensive. On average, apps cost between $100,000-$500,000. For example, if you were to make a clone app of WhatsApp, it would cost around 170,000- 222,000. But the costs don’t just end after you have created the app. You also need to consider the regular updates and maintenance required for your app. When considering whether your business requires an app you should carefully weigh up these costs against the benefits you think the app will provide. Is it the Best Way to Communicate Your Message? Apps may sound like a great way to directly communicate with your customers. However, there may be other ways to communicate the same message. If you just want an app to promote your latest product and give exclusive rewards, consider whether social media or an email newsletter can achieve the same result (and for much cheaper!). Unless your app is offering something highly unique, you can achieve most of the same benefits from a mobile-responsive site. Remember that for people to download your app, they have to know your business exists. Before you start thinking about getting an app, consider how mobile-friendly your site is. Research shows that 48% of mobile search starts on search engines compared to 26% on branded apps, so a mobile-optimised site should be your initial focus. This is how most people on mobile will find your business and often your mobile site can do most of what an app can do. Plus, you don’t have the issue of users operating an old version of your app and dealing with Android/iOs and changes and restrictions. Apps can work really well for certain businesses. However, before investing in developing an app for your business, carefully consider what your app will offer over your website. Instead, your money may be better spent on making a mobile friendly website. 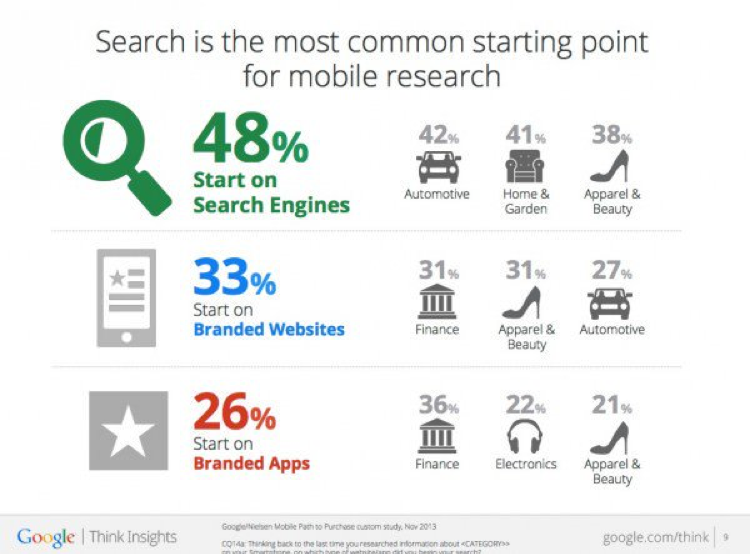 There is great potential for success with mobile apps, but just make sure you carefully do your research! If you need any help or have any questions be sure to get in contact!